This series focuses on on "little known" or "obscure" characters in the Bible who have minimal Biblical exposure, but provide incredible opportunity to learn from. Some stories are well-known and frequently talked about, while others aren't. 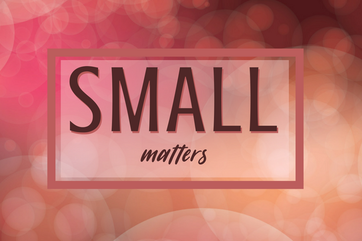 SMALL matters to God. ​If you've ever felt small or insignificant, grow spiritually from your study of these characters.